Ella Dalton is just as prolific on the track as she is on the basketball court. 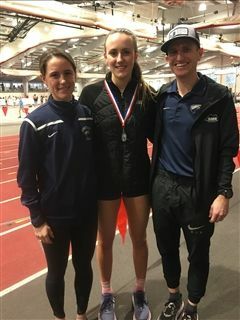 This past weekend, she ran right into 2nd place in the Women's 3200m event. Last week, she scored her 1000th point for the Lady Eagles basketball team, which you can see in this news clip here. We are so glad that she is only a junior so we get to see her in action for another year.